December 30 is the 364th day of the year(365th in leap years) in the Gregorian calendar.There is one day remaining until the end of the year. Year 999 (CMXCIX) was a common year starting on Sunday of the Julian calendar. The Battle of Glenn Máma or Glenmama was a battle that took place, most probably near Lyons Hill in Ardclough, County Kildare in AD 999 between Windmill Hill and Blackchurch. It was the decisive and only engagement of the brief Leinster revolt of 999–1000 against the King of Munster, Brian Boru. 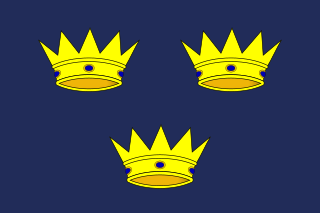 In it, the combined forces of the Kingdoms of Munster and Meath, under King Brian Boru and the High King of Ireland, Máel Sechnaill II, inflicted a crushing defeat on the allied armies of Leinster and Dublin, led by King Máel Mórda of Leinster. Year 159 (CLIX) was a common year starting on Sunday of the Julian calendar. At the time in Roman territories, it was known as the Year of the Consulship of Quintillus and Priscus. The denomination 159 for this year has been used since the early medieval period, when the Anno Domini calendar era became the prevalent method in Europe for naming years. 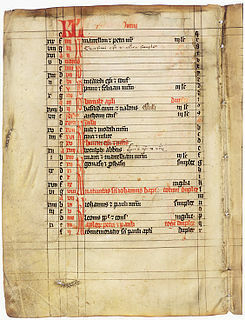 Year 717 (DCCXVII) was a common year starting on Friday of the Julian calendar. The denomination 717 for this year has been used since the early medieval period, when the Anno Domini calendar era became the prevalent method in Europe for naming years. Egwin of Evesham was a Benedictine monk and, later, the third Bishop of Worcester in England. Frances Joseph-Gaudet was an African American educator, social worker and prison reformer, honored as a saint in the Episcopal Church. Abraham the Writer is a saint of the Syriac Orthodox Church. His feast day is December 30. Saint Anysia of Salonika was a Christian virgin and martyr of the 4th century. ↑ "Major Guy V. Henry and the 9th Cavalry's Great Cavalry Ride". ↑ Shiri, Keith, ed. (1992). Directory of African Film-Makers and Films. Trowbridge, England: Flicks Books. p. 29. ISBN 0-948911-60-3. Wikimedia Commons has media related to December 30 .